1 Elizabeth, by the grace of God, etc. To all individual kings, etc. 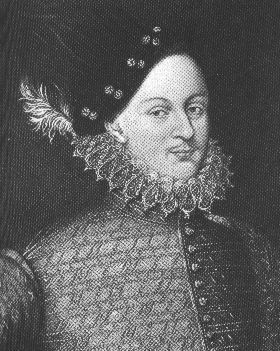 An illustrious and highly accomplished young man, our beloved cousin, Edward Vere, Earl of Oxford, Viscount Bulbeck, Lord of Scales and Badelsmore, Great Chamberlain of England, plans (with our good grace) to travel overseas to gain knowledge and understanding of the ways of men in different cities and regions. We therefore sincerely request your servants, your most excellent educators and your own kindness, that when he comes into any kingdom, territory, land or jurisdiction of yours, not only will he be permitted to stay there freely and to pass through without impediment, but he will be treated with all kindness for our sake, and will be welcomed so that we may see your friendship and benevolence towards us reflected in your treatment of this most noble earl, our kinsman (whom we recommend not in the usual way, but in all sincerity, on account of his outstanding intellect and virtue). When this young nobleman shows himself worthy of your kindness by virtue of his manners, we too, as a sign of thanks for things great and small, shall never forget to repay you generously, and by any means, when the time and occasion may arise. In witness whereof etc. Hampton, 24 January 1574 [=1575], in the seventeenth year of our reign. 2 Elizabeth by the grace of God etc. To the most powerful Prince and Lord Maximilian the Second, Holy Roman Emperor, King of Hungary and Bohemia, eternally Augustus, our brother and kinsman and dear friend, greetings. An illustrious young man, greatly adorned with many virtues – Edward Vere, Earl of Oxford, Viscount Bolbeck, Lord of Scales and Badelsmere, Lord High Chamberlain of England, our most beloved subject and cousin – is presently setting out from England to visit your royal court of many princes and will be passing through the cities and regions of your empire, to benefit from the knowledge thereof. He is endowed, by his very nature, with manners, virtue and learning. We therefore earnestly desire your Imperial Majesty to protect this young nobleman by your authority, to grant him your favour, to help him with recommendations, and to favour him with all kindness, so that he may understand that our greatest recommendation holds weight with your Imperial Majesty. Nothing else could give us greater joy. May God preserve your Imperial Majesty in health and safety. Hampton [Court], 24 January 1574 [=1575], in the seventeenth year of our reign. The full Latin texts are on Nina Green’s website The Oxford Authorship site to be found at this location. Fantastic, Hank! Thank you. One of my favorite phrases is about why the future Shake-speare wanted to visit the Continent–“to gain knowledge and understanding of the ways of men in different cities and regions.” Something he was always curious about. And something he is still teaching us about. Yes. Thanks for expressing this, Rick. Thank you very much for your comments on these letters which indicates so much praise of her Majesty for the young nobleman that, indeed, it is likely that she speaks from her own experience with him – as a courtier, as a…? My compliments also on both content and esthetics of your website!. Hi, Hank! Thanks for disseminating so beautifully the results of Alexander’s research and “sweat.” I will add this, your page, as a link to my Shakespeare in Italy Facebook page. It could not be more apropos! Thanks, Ann! You’re right, and it certainly supports the findings by Michael Delahoyde as he uncovers more of Oxford’s “footprints” in Italy. What the letters show, I believe, is that Oxford was not only studying all the arts but was on a definite mission to learn “the ways of men” in positions of power in the various palaces of Europe. How appropriate for the young Shakespeare! Hank, I quoted that phrase while giving a talk on de Vere yesterday evening. I always enjoy having such “late-breaking news” to share! The audience was enthusiastic about the authorship question, and most of them seemed to find the Oxfordian theory compelling. It’s great that you’re able to spread the word directly like this, Rick. And just think how you are bringing not only this “news” but word of the movement itself, to folks who may have never known of it until hearing it from you. Wonderful. The word ‘freely’ – meaning, I suppose, having the freedom of the city and entertainment without cost, bearing in mind he would not be travelling alone but would be accompanied by a little court of retainers. Another piece of the puzzle of his dwindling finances. I had thought she meant he would be allowed to move freely or without hindrance or fear of being detained or otherwise prevented from going where he wanted to go. But your suggestion provides an interesting additional way to interpret it. Thanks. This is a tremendous contribution to the growing Mountain of information supporting Edward de Vere as the man behind the Shake-Speare pseudonym.